It's about that time again! 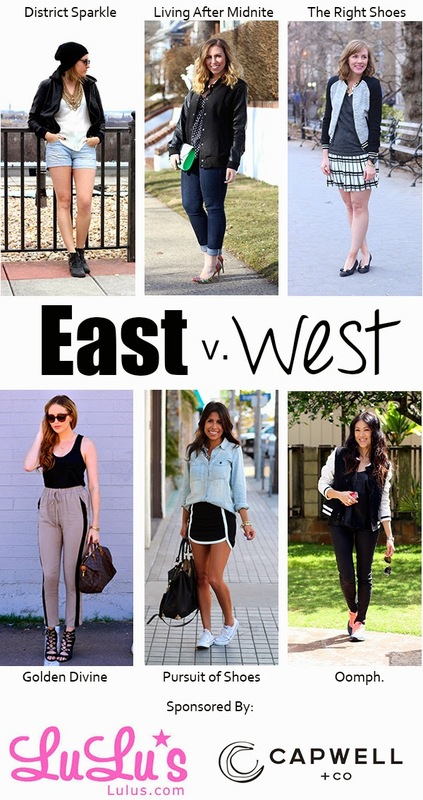 The East v. West gang is getting back together to bring you six weeks of spring style inspo! We have some great posts lined up with some great sponsors (this week is LuLu's and Capwell+Co!) so be sure to tune in each Tuesday for the latest. This week's trend is varsity and I'm pretty confident we've given you a wide variety of how to rock the trend. You can go edgy like Jackie and Meaghan or super prep like myself or just downright sporty like all the West coast ladies. 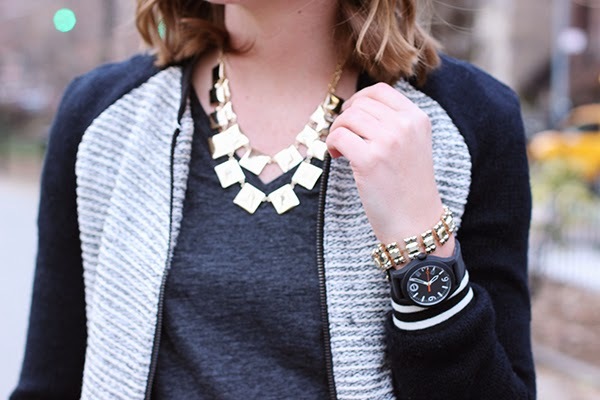 How will you style varsity for spring? love that jacket!! 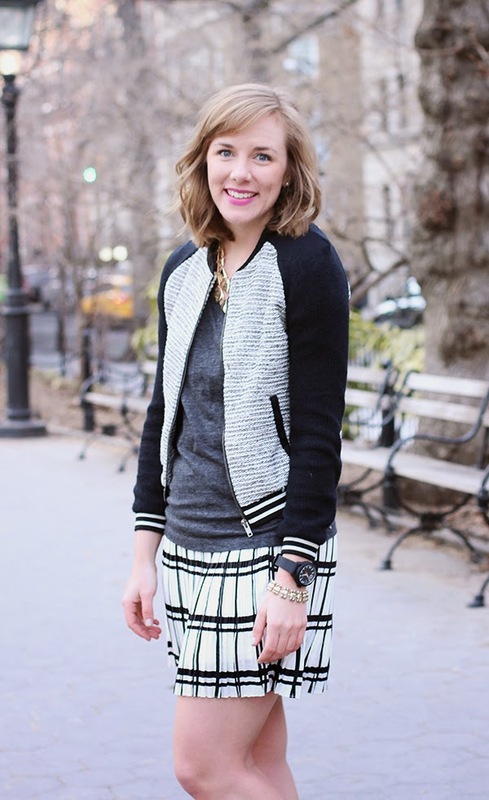 the striped on the jacket match perfectly with the skirt!! Love it! 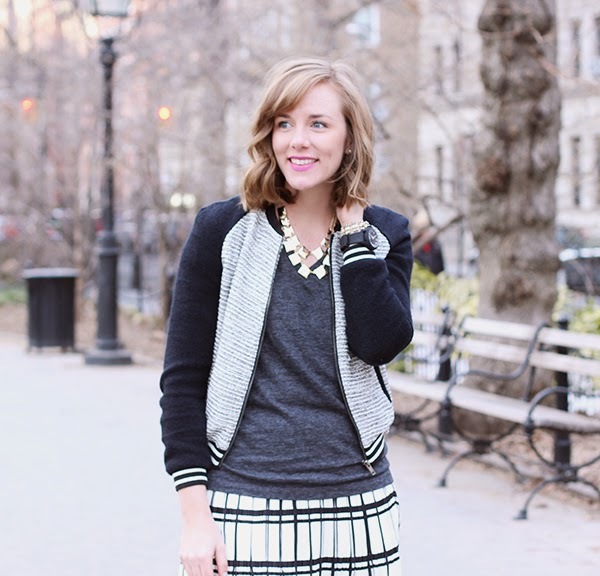 That skirt is too cute, and it looks great with the jacket!